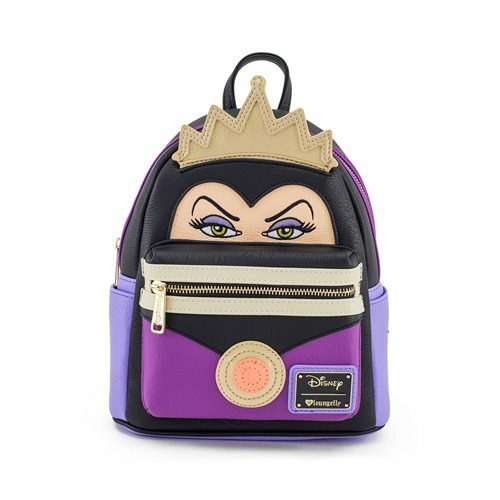 Show off your Disney pride with this Snow White Evil Queen Face Mini Pu Backpack! Made of faux leather, the bag has 2x straps, 1x handle, 2x zippered compartments, and 2x side pockets. This mini backpack measures approximately 10 1/2-inches tall x 9-inches wide x 4 1/2-inches long.